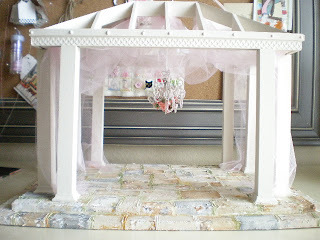 Here's the gazebo so far. 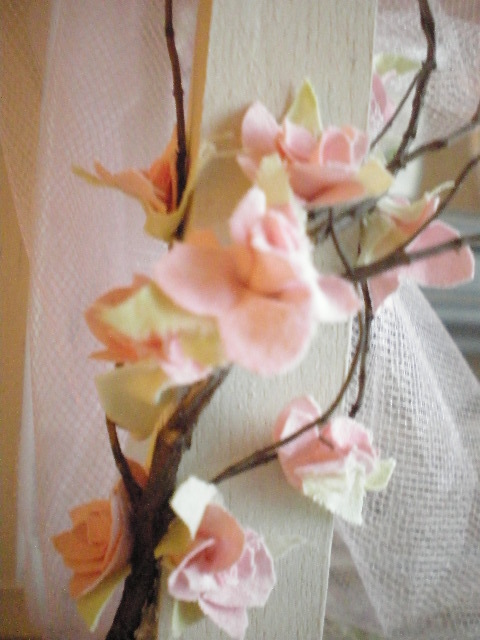 I started putting some roses on. It looks like I'll be making roses for a long long time! 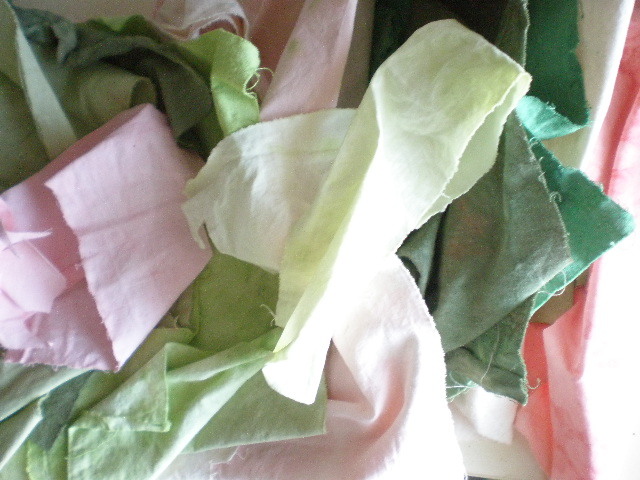 This is all the fabric I dyed for roses and leaves. 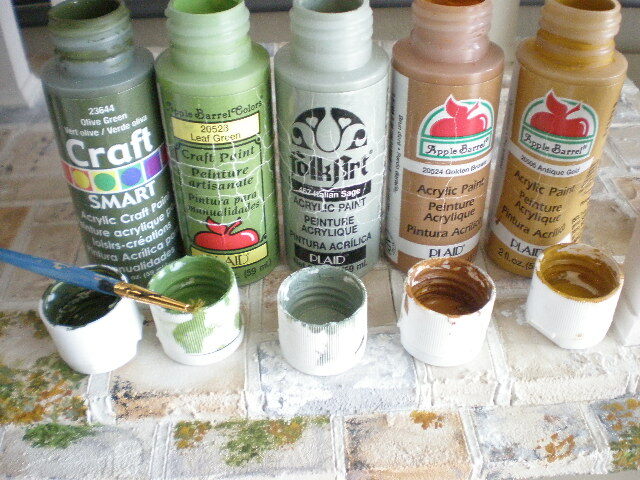 Here are the colors I use for aging stones. 3 shades of green and to golden browns. 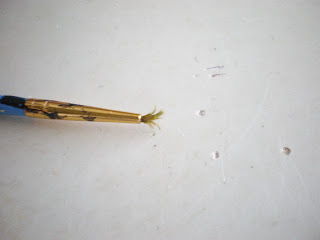 This paintbrush is perfect for doing the detailed rust and moss spots on the stones. 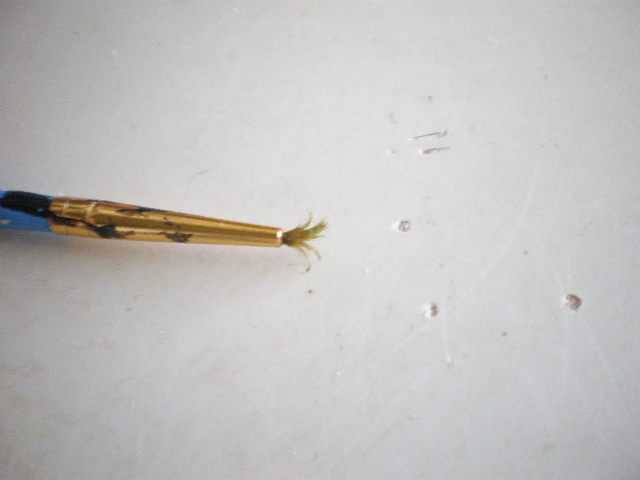 It's a very used, old brush that makes perfect markings. I also finished the chandelier. I added 7 more arms and the roses. 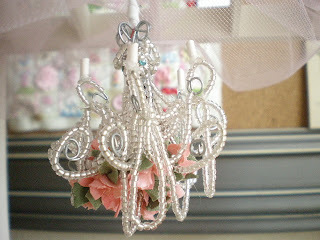 This picture makes the chandelier look crooked! 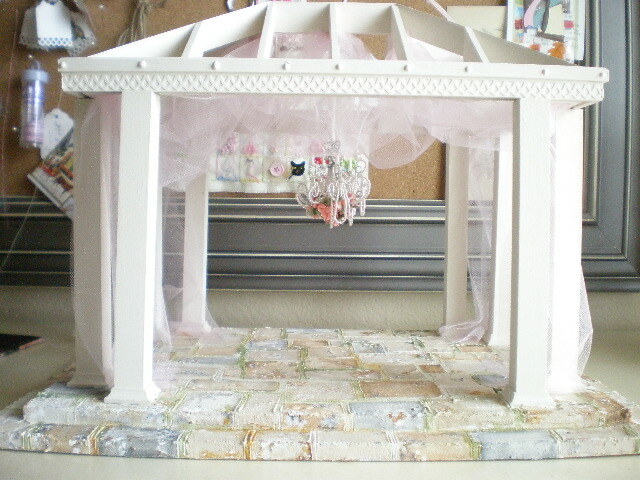 This is the gazebo with some of the tulle on. I wanted to see just how many roses I would need so I started one vine. 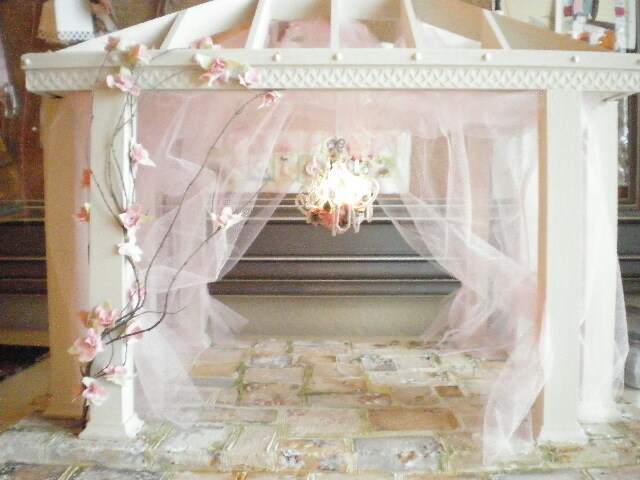 I used pink tulle to drape the top roof and sides. 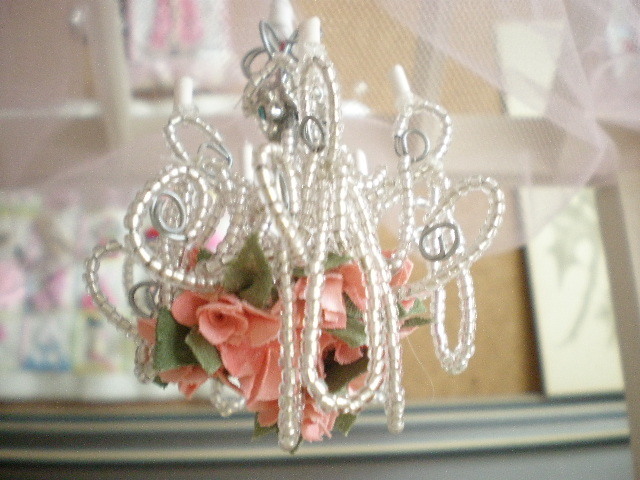 This is a side shot. I can't wait to get more roses on there. I'm also going to use real moss. It's a dream! There's nothing like tulle and roses to spell romance. So very fairy like and romantic! You have the magic touch! Your gazebo looks a dream! 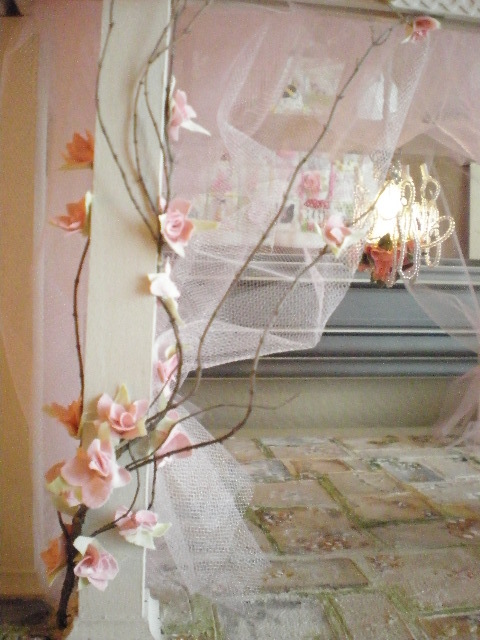 It can only look more wonderful once you have added more roses. I love the floor stones. 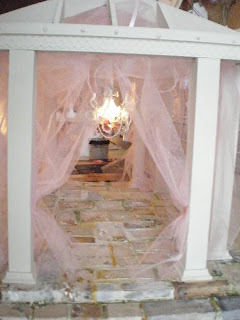 In fact I love everything...Gazebo/vines/roses/tulle/chandelier...everything! it's is beautiful! 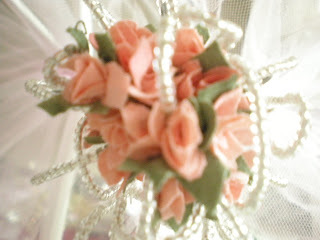 Love the roses! 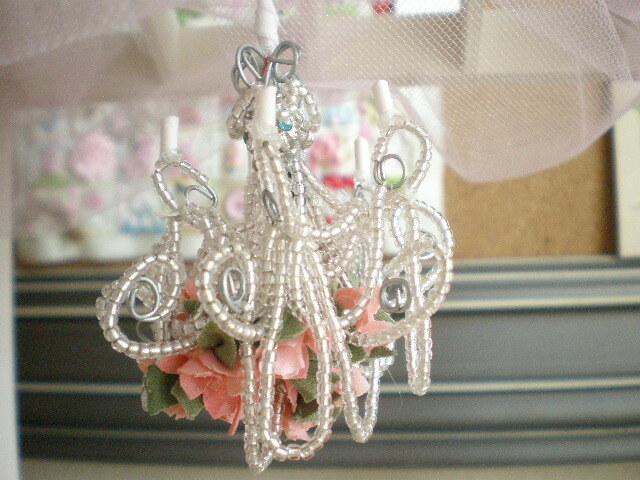 And the chandelier is just wonderful. 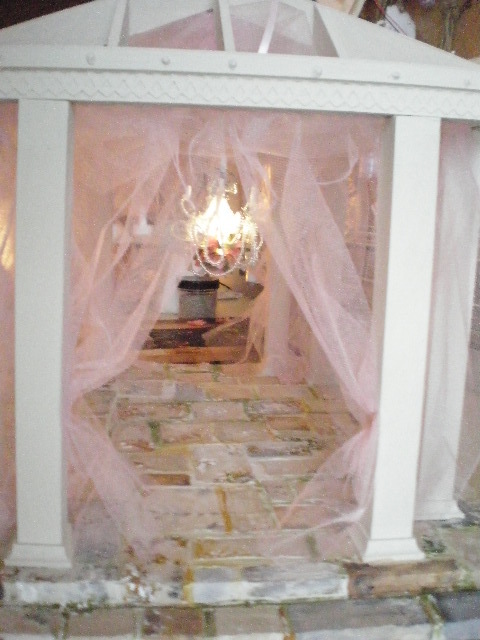 I am already planning a spring festival under this romantic gazabo!! So beautiful. Can't wait to see the finished product! 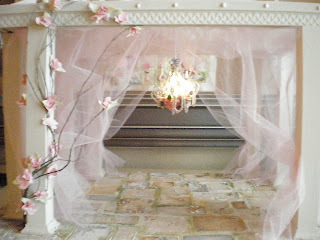 OH MY GOODNESS, THIS IS GORGEOUS!!!!!!!!! Oh, how I wish I had a granddaughter to be able to purchase this as a gift! 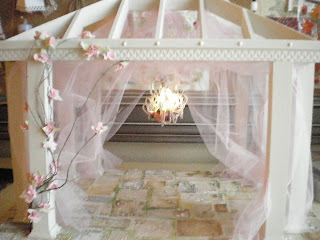 Any little girl would go CRAZY over it. 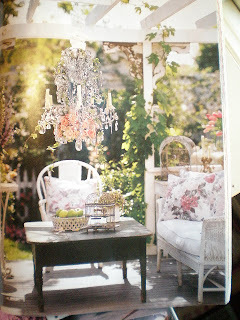 Great job, and the roses on the vine and under the chandelier, are just the most precious little things I have ever seen. Can't wait to see the finished gazebo! BEAUTIFUL! !